I am happy to announce we have 5 Prominent Internet Personalities supporting the Video SEO Competition. Nick Smith of www.camstudio.org is giving 4 hours of technical and marketing consulting (worth $800.) A list marketers, including Yanik Silver, Jim Edwards and Michael Holland have previously sought his technical advice in the past and he’ll put it to use for you, if you win. 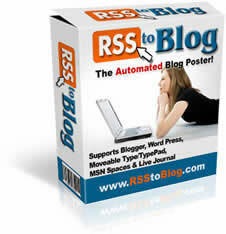 Michelle Timothy of RSStoblog.com is a software developer of several innovative internet marketing applications for webmasters. She is also an avid niche marketer in many markets outside of Internet Marketing. Mike is also into the self-improvement/personal development market. His first ever online venture was his Program Your Mind for Success in Record Time! ebook. Mike is giving the winner 30 minutes of private, one to one consultation. Patric Chan is an Internet Infopreneur, author of several ebooks and international speaker. He has appeared as a guest speaker for Asia’s leading internet marketing seminars such as The Internet Wealth Code and Global Internet Summit. He also spoke for the world-recognized internet conference, "The World Internet Summit" in several countries along with other speakers like Stephen Pierce, John Childers, Ewen Chia, Willie Crawford, etc. Patric specializes in high profit, low cost marketing strategies and has the ability to increase your profit many times without spending more money in advertising and marketing. His skill is define in breaking down complicated internet marketing strategies into easy-to-understand concepts by applying the "Chan" do methods at www.youchandoit.com. At the age of 26 now, he has achieved many extraordinary results in the internet marketing world including business joint venture partnership and consulting with multi-millionaires. Patric will be contributing a copy of his home course study, the Chan Do Internet Success System Deluxe Version that is currently selling for $347 online at www.youchandoit.com/home.html . Yuzairy Samsudin of www.videopostrobot.com is giving away his soon to be released software, Video Post Robot. The software automates video uploads to multiple sites all at once and even future posting using the scheduling function. In addition to his desktop software, Yuzairy will also up the stake by raising the cash prize by another $450 to the winner. See the Video SEO Competition Entry Page Here. Add your email here to be updated on all new posts about the Video SEO Competition.